"Clearly cats aren't immune to the lure of chocolate. What a purrfect treat! 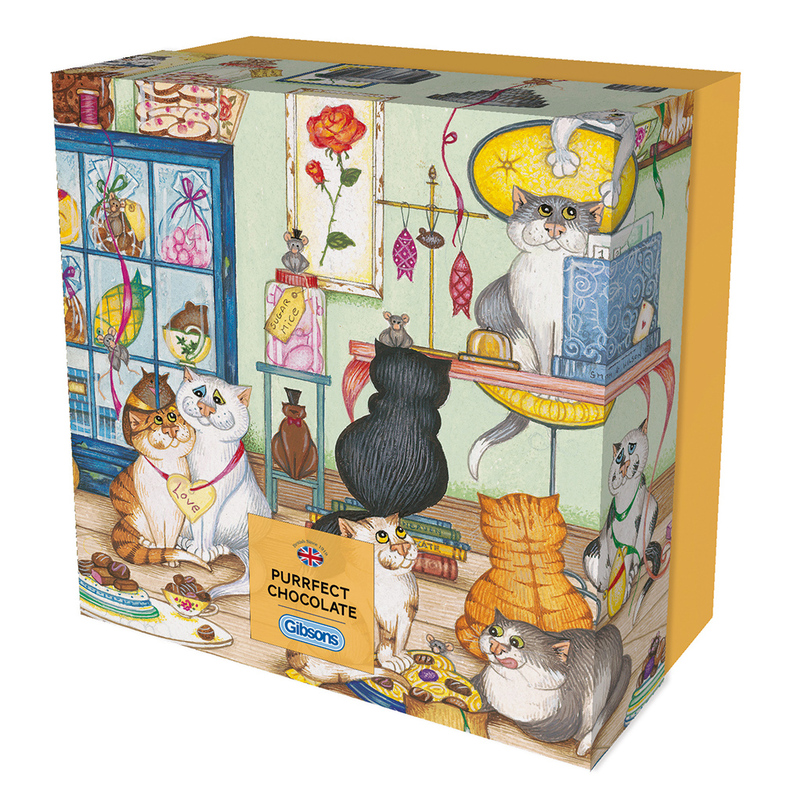 This 500 piece gift version of Purrfect Chocolate is packaged in a smart compact box which measures 16.5x16.5cm - the perfect gift for an avid puzzler! Like all Gibsons jigsaws, Purrfect Chocolate is made from 100% recycled board of the highest quality to ensure that the pieces are a joy to handle again and again. Puzzle size 35x48cm when complete. Beautifully painted by artist Linda Jane Smith. 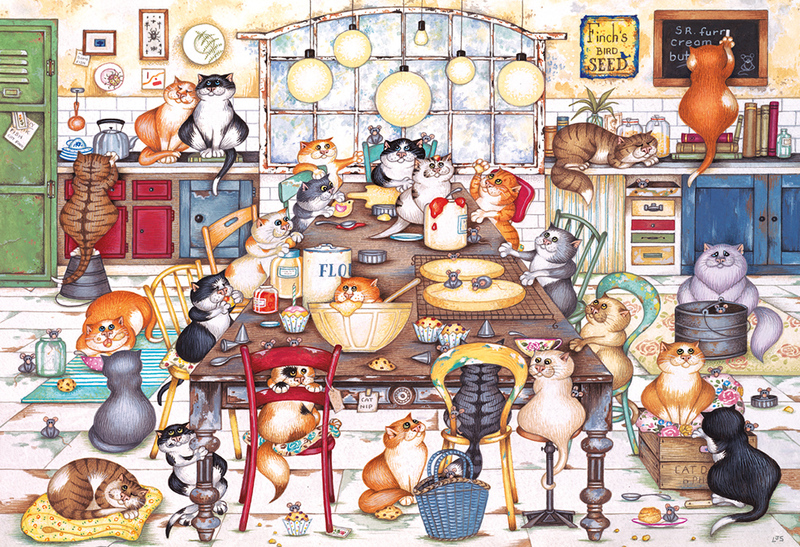 Linda Jane Smith studied Graphic Design at Bournville College of Art in Birmingham, and her time there gave her the discipline to work very precisely and enabled her to combine the two great loves of her life, cats and painting. Linda Jane Smith is an avid collector of old objects; hat pins, china and fabrics are treasures to her and they often turn up in her own paintings. Humour is also a big part of Linda’s work. 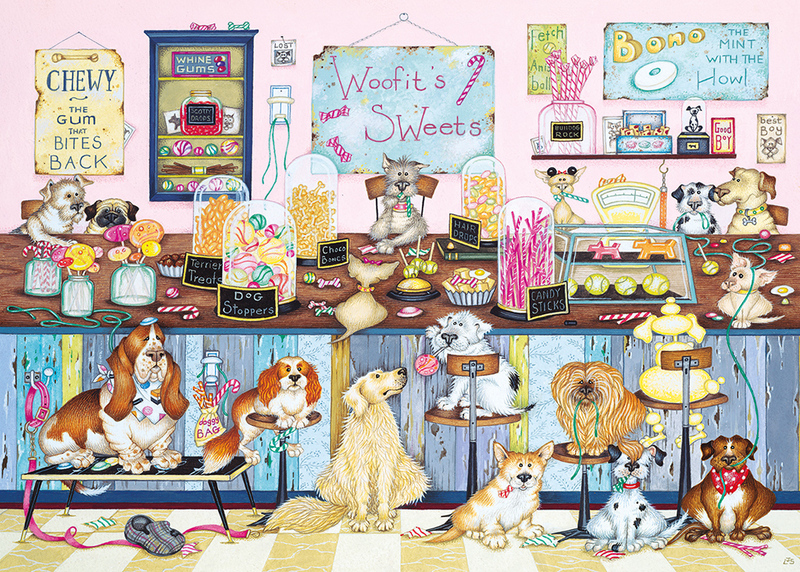 She works with designer gouache, in a Pointillist style, making a detailed drawing first, then meticulously putting on dots of paint to slowly build up the colour so that it has form and texture.